Since 2014, USADF has directly supported over 180 youth entrepreneurs in 30 countries, providing them with nearly $4 million of grant funding to launch and expand their businesses across Africa. These businessmen and women are working across sectors, from health and education, to IT and agribusiness to sell goods and services, create jobs, train youth, and increase incomes. To download our Youth-Led Enterprises investment portfolio, click here. How Does USADF Support Youth-Led Enterprise in Africa? USADF is providing young entrepreneurs with the tools needed to invest in their own communities, and grow Africa’s next generation of business leaders. These business leaders will employ marginalized people, train other youth, impact their communities and create or expand markets by providing goods and services. 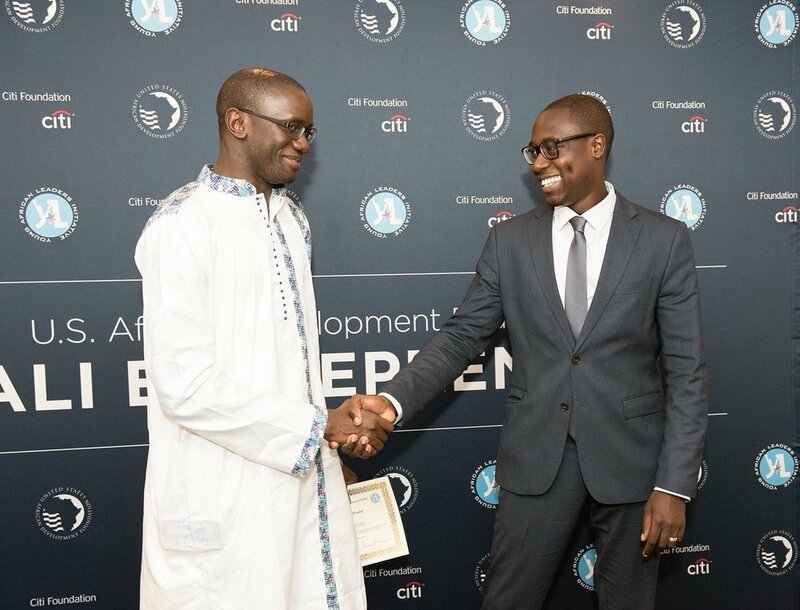 USADF selects entrepreneurs through the Young African Leaders Initiative (YALI) through business plan competitions to find and fund Africa's next generation of business leaders. Winners are awarded up to $25,000 in seed capital funding to start or expand their social venture. In 2011, USADF launched an innovative program in Somalia to address the high rate of youth unemployment. The program focuses on job skills training and job placement for Somali youth aged 15-35. Since 2011, USADF has provided over 5,000 Somali youth with vocational job training and the tools to start their own businesses. Meet the 2017 Mandela Washington Fellows to receive USADF seed capital funding. USADF will invest $375K in seed capital to help these young African leaders launch or expand their social enterprise. Click here to learn more about the 2017 winners. USADF has awarded nearly $4 million in seed capital funding to over 180 entrepreneurs from 30 countries, selected from the Mandela Washington Fellowship program. The Young African Leaders Initiative's Mandela Washington Fellowship and Regional Leadership Centers represent the extraordinary promise of an emerging generation of entrepreneurs, activists, and public officials. By pairing seed capital with technical assistance, USADF is empowering young entrepreneurs who are leading the charge in investing in Africa’s economic growth.